Yale University once again claimed the top spot in this week’s USRowing/Collegiate Rowing Coaches Association NCAA Division I Varsity Eight Coaches Poll, while Western Washington University and Williams College topped the Division II and III polls, respectively. Yale University remained atop the Division I rankings, earning 19 of 25 first-place votes. Stanford University received the other six first-place votes to rank second. University of California, University of Michigan and Michigan State University rounded out the top five. Western Washington received all six first-place votes to once again earn the top spot in the Division II poll. Philadelphia University took the second spot, while Dowling College ranked third. Williams College received nine of 10 first-place votes to earn the top spot in this week’s Division III poll. Bates College ranked second, with Trinity College taking the third spot. Ithaca College and the University of Puget Sound rounded out the top five. Ithaca received the other first-place vote. USRowing is a nonprofit organization recognized by the United States Olympic Committee as the governing body for the sport of rowing in the United States. USRowing’s Official Supplier is Hudson Boat Works; its Official Patron is Concept2; its Official Electronics Outfitter is Nielsen Kellerman; its Official Timer is Powerhouse Timing; and its Preferred Printer is Sport Graphics Printing. USRowing also receives generous support from the National Rowing Foundation. 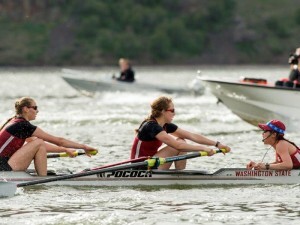 The Collegiate Rowing Coaches Association’s official partner is www.row2k.com. Not Ranked But Receiving Votes: University of Iowa 18, Boston University 10, Dartmouth College 6, Syracuse University 3, Bucknell University 2 and University of Pennsylvania 1. Not Ranked But Receiving Votes: Humboldt State University 2 and Barry University 1. Not Ranked But Receiving Votes: Skidmore College 46, University of Mary Washington 21, Washington College 21 and Rochester Institute of Technology 9.